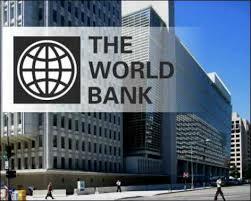 WASHINGTON, D.C – The World Bank (WB) has said global economic growth is projected to soften from a revised 3 percent in 2018 to 2.9 percent in 2019. In its 2019 Global Economic Prospects released on Tuesday January 8 in Washington D.C, the Bank said international trade and manufacturing activity have softened, trade tensions remain elevated, and some large emerging markets have experienced substantial financial market pressures. WB Chief Executive Officer (CEO), Kristalina Georgieva, observed that at the beginning of 2018, the global economy was firing on all cylinders, but it lost speed during the year and the ride could get even bumpier in the year ahead. World Bank CEO Kristalina Georgieva. “Growth among advanced economies is forecast to drop to 2 percent this year,” the report said. 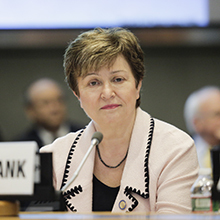 CEO Georgieva advised that as economic and financial headwinds intensify for emerging and developing countries, the world’s progress in reducing extreme poverty could be jeopardised. For Uganda and other sub-Saharan African countries, WB said the region faced a tougher external environment in 2018 due to moderating global trade, tighter financial conditions, and a stronger U.S. dollar. For instance in Angola, the region’s second largest oil exporter, the economy contracted by 1.8 percent as oil production shrank; while South Africa’s economy grew by 0.9 percent in 2018 as it emerged from a technical recession in the second half of the year. Per capita growth will be insufficient to narrow the income gap with advanced economies in about 35 percent of emerging market and developing economies in 2019. Growth is forecast to remain well below the long-term average in many countries, yielding little progress in poverty reduction. Risks to the regional outlook are tilted to the downside. Slower-than-projected growth in the Euro Area and China would adversely affect the region through lower export demand and investment. Political uncertainty and a concurrent weakening of economic reforms could continue to weigh on the economic outlook in many countries. In countries holding elections in 2019 such as Malawi, Mozambique, Nigeria and South Africa, domestic political considerations could undermine the commitments needed to rein in fiscal deficits or implement structural reforms, especially where public debt levels are high and rising. Global Economic Prospects is a World Bank Group flagship report that examines global economic developments and prospects, with a special focus on emerging market and developing economies. It is issued twice a year, in January and June.